Jamaica doesn't like wearing her brother's old hand-me-down boots to school. She's happy when the tiny hole in the toe gets bigger. Now her mother will have to take her shopping for new boots. She wants to buy some beautiful fuzzy pink ones like her friend Brianna's, but Brianna might think she's copying. So she picks out a pair of fancy cowboy boots. 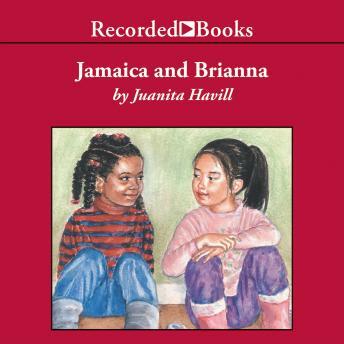 When Brianna tells Jamaica that cowboy boots aren't "in," Jamaica tells Brianna that her boots are ugly. Now everyone's feelings are hurt. Juanita Havill has a knack for capturing the real-life struggles of young children learning caring, responsible behavior. Award-winning narrator Lynne Thigpen gives a touching performance as she expresses the pangs of two friends learning valuable lessons about jealousy and friendship.